Honeywell DM7600B1053/U 16 in Single Blade Round Damper. 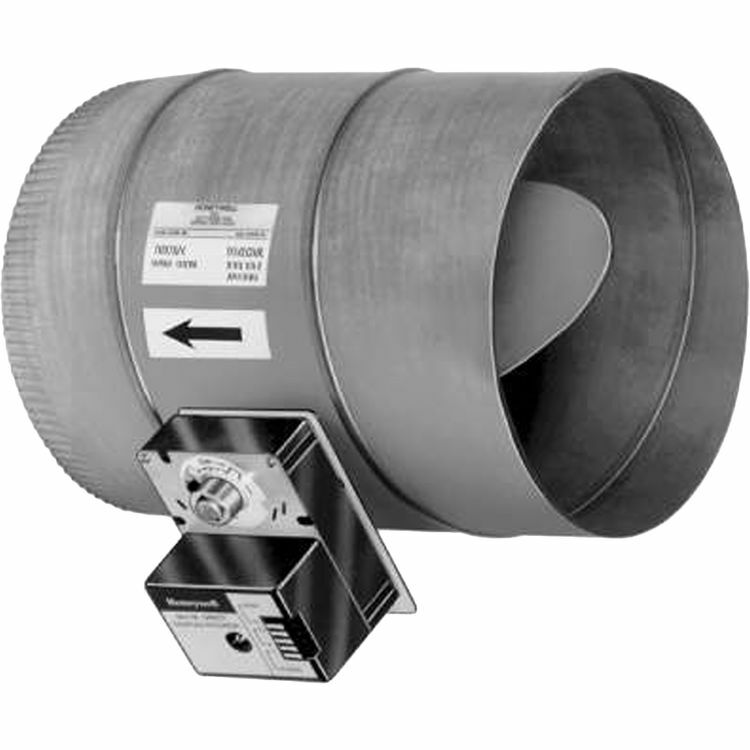 The DM7600 Commercial Zone Damper is used in zoning systems to control airflow in a round duct. A Honeywell ML6161 or ML7161 Direct Coupled Actuator is factory mounted to the damper to simplify field installation.